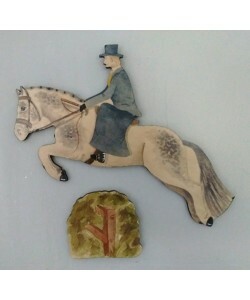 Jumping Horse, Side Saddle Rider & Hedge which can be personalised from photos or bought as standard. 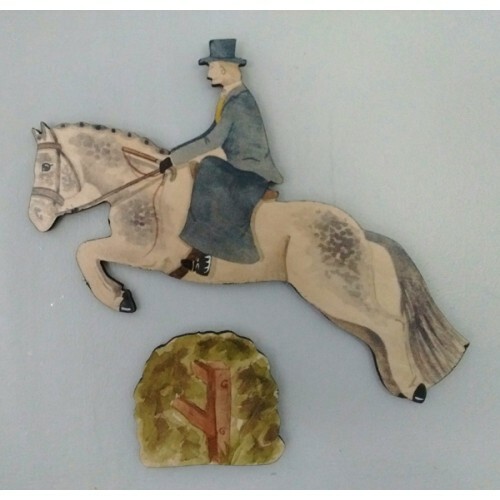 Horse & Rider size: 28cm x 24cm. 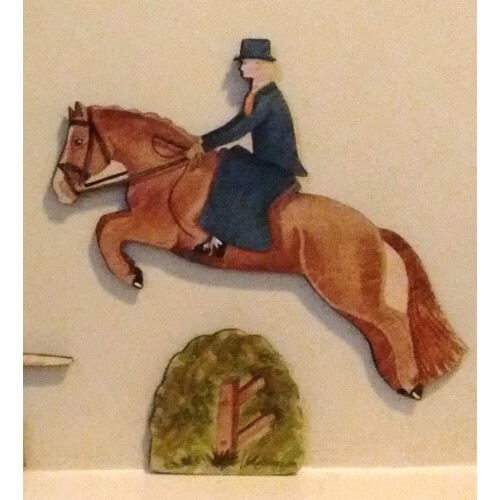 PLEASE note that this piece will be facing left to show the full side saddle skirt. If you would like it facing right (non skirt side) please get in touch. For a "standard" order, the horse may be any colour. Not just the colour pictured. All made to order so please allow at least 3 weeks for delivery.